N Tull, JC Dietrich, TE Langan, H Mitasova, BO Blanton, JG Fleming, RA Luettich. 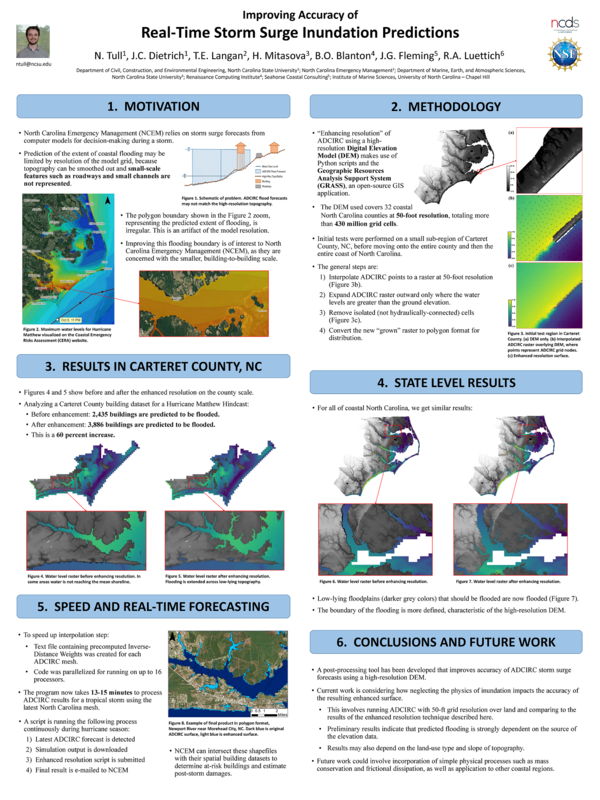 “Improving Accuracy of Real-Time Storm Surge Inundation Predictions.” Environmental, Water Resources, and Coastal Engineering Research Symposium, North Carolina State University, 2 March 2018. 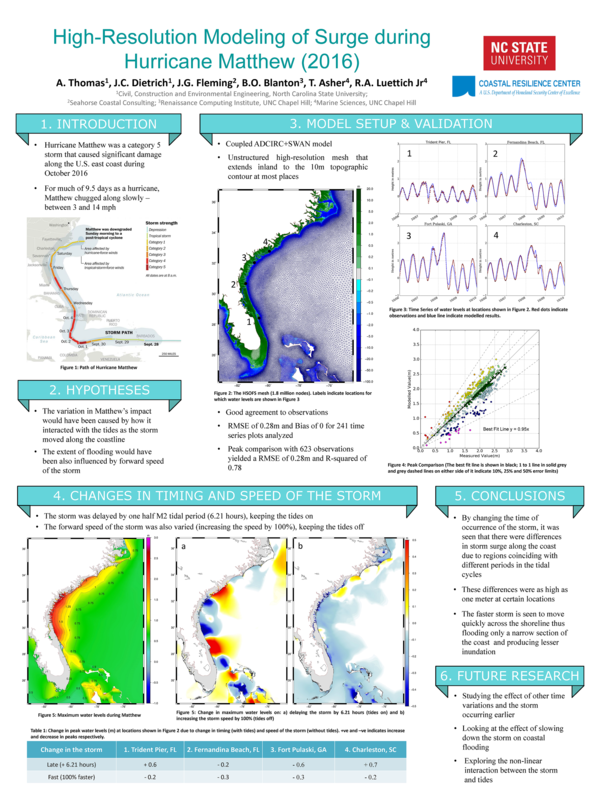 Improving Accuracy of Real-Time Storm Surge Inundation Predictions. R Cyriac, JC Dietrich, A Fathi, C Dawson, K Dresback, CA Blain, M Bilskie, S Hagen, H Graber. 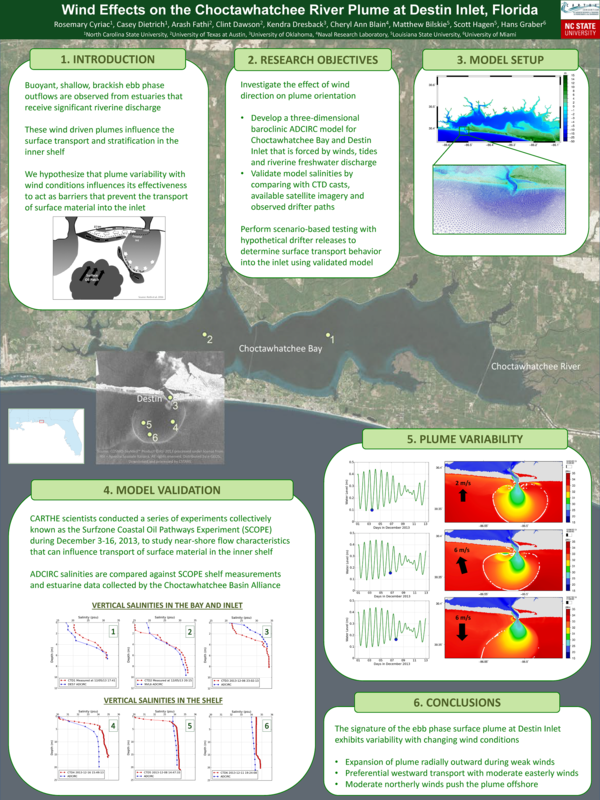 “Wind Effects on the Choctawhatchee River Plume at Destin Inlet, Florida.” Environmental, Water Resources, and Coastal Engineering Research Symposium, North Carolina State University, 2 March 2018. A Thomas, JC Dietrich, JG Fleming, BO Blanton, T Asher, RA Luettich. 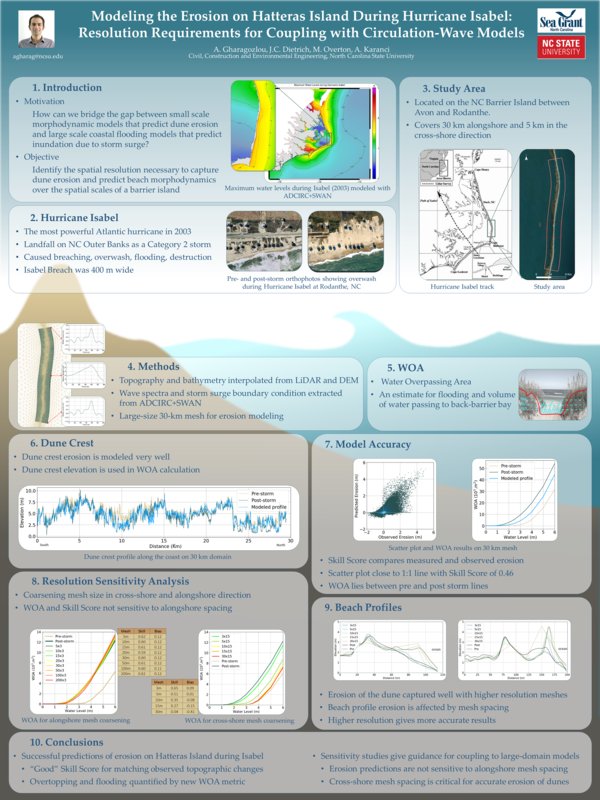 “High-Resolution Modelling of Surge during Hurricane Matthew (2016).” Environmental, Water Resources, and Coastal Engineering Research Symposium, North Carolina State University, 2 March 2018. High-Resolution Modelling of Surge during Hurricane Matthew (2016). A Gharagozlou, JC Dietrich, MF Overton, A Karanci. “Modeling the Erosion on Hatteras Island During Hurricane Isabel: Resolution Requirements for Coupling with Circulation-Wave Models.” Environmental, Water Resources, and Coastal Engineering Research Symposium, North Carolina State University, 2 March 2018.